Let’s get right to it: it’s freaking fun to talk about clothes — especially when dissing our past selves and their tastes, like Chelsea did in her recent anti-haul video. 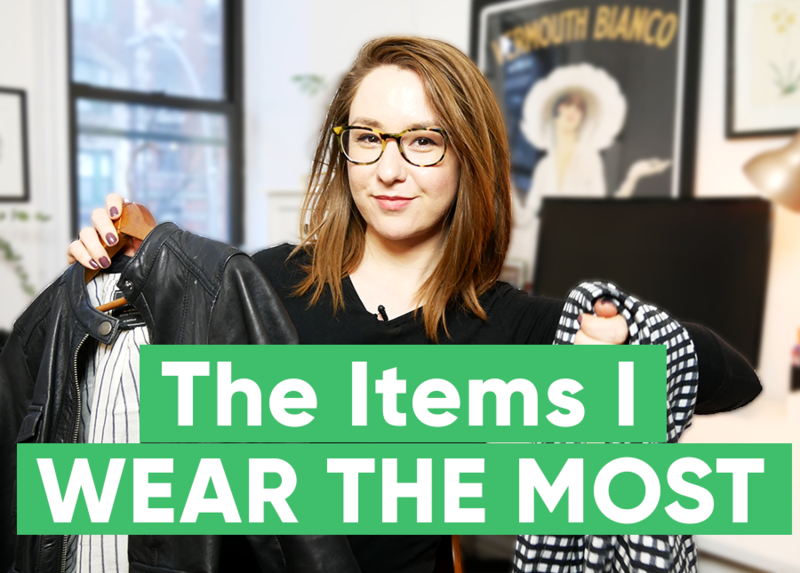 But as much fun and cathartic as it is is to sort through the dated/embarrassing finds we end up tossing into the Goodwill pile, it’s also SUPER helpful to talk about the items we actually wear the most. So this week, Chelsea decided to do just that! Instead of showing us what she’s tossing, she walks us through the wardrobe items that make her feel chic, comfortable, and confident on a daily basis. This includes everything from the well-loved loafers she wears multiple times a week to the “fancy” pair of jeans she knows were worth the investment. Plus, she also shares her insider tips for how she almost never pays full price for retail items. Remember, when you build a base wardrobe around items you love that also love you, getting dressed doesn’t have to be a source of anxiety or stress every morning. Head over to the TFD YouTube channel for the full video, and if you have any standout pieces you get the most use out of in your own wardrobe, let us know in the comments!